In our piece on key marketing trends that will impact your company this year, one of the trends we discussed was the prevalence popularity of voice search. In fact, over one billion searches are made every month via voice on services like Amazon’s Alexa, Google Assistant, Apple’s Siri, and Microsoft’s Cortana. As a result, Google is coining this era the ‘Age of Assistance.’ Voice search is here to stay, so here are ways to get your website optimized for voice assistants. How do I prepare my website for voice search? Let’s begin with the basics. 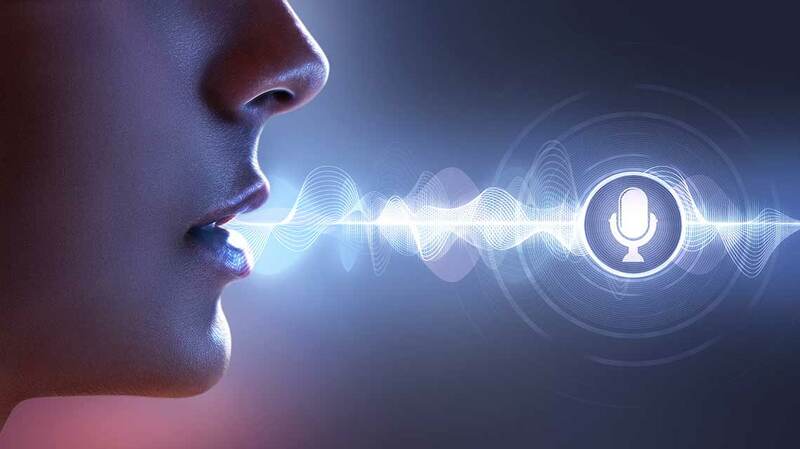 Voice search is simply a way to search for information on the world wide web using your voice and whichever preferred voice assistant you use (or several). Like when people go ‘Hey, Siri!’ or ‘Okay, Google,’ they’re voice searching. For business owners, what does that mean exactly? How does it change the game? ‘Why does it matter to me?’, you may ask. Well, think about the keywords you’d have to use on your website to capture both queries. You’d need ‘pizza + Pittsburgh’ and ‘nearest pizza delivery place’ somehow to be part of your website to show up in either search. You may have already mastered your overall SEO strategy and even your local SEO strategy, but have you really thought about voice search? You may need to. In our piece Voice search marketing: are you ready for the future?, we discuss the four types of intent that a customer may have when using voice search. Understanding intent can help you tailor the content that will generate leads via voice search. So, in order to get ready for voice, you’ll need to hone your marketing strategy and write content that is more clear, more direct, and more conversational. Just remember that voice searchses answer questions and questions tend to begin with the five W words: who, what, when, where, why, and how (which we know isn’t a W word). When designing your content strategy, you’ll want to include both the short answer (i.e. what the voice assistant can pick up on) and the long answer (what your more traditional Googlers will read). And, most importantly, you’ll want to create engaging content that answers your buyer persona’s common questions, solves their problems, and answers their pain points. Once, it was all about the short-tail keywords, but now it’s best to optimize for longer keywords in a more natural word order, optimizing for semantic search. The good news is that long-tail keywords are often very specific to your business. They have low search volume and low competition, which typically means they have higher conversion rates. If you optimize for voice search early, capturing these long-tail keywords relating to your business, that may create higher engagement and conversions early on–as many businesses will be slow to optimize for voice assistants. This is SEO 101. If you aren’t optimized for mobile already, why are you on the internet? This point does not need an in-depth discussion. All web designers (at least we hope so) will automatically optimize your site for mobile since nearly 60% of searches are now on mobile. Schema markup is a type of structured microdata that creates ‘rich snippets’ when added to a website. Back in 2011, Google, Yahoo, Bing, and Yandex (those big search engines), began collaborating with schema.org, which means it’s important that you jump on the bandwagon now with your site. Even though using schema markup hasn’t been proven to increase organic rankings, it is something that is important and will be more important in the future, especially for voice, which will be discussed in more depth below. Setting up a ‘speakable’ schema is the most technical aspect of preparing your website for voice search. Many current webmasters have now learned how to help businesses get their websites voice-ready. A speakable schema can be added to your website which identifies sections of your content that are best for audio playback using text-to-speech (TSS). Adding markup to your content means that search engines and other applications can identify the content that is best for voice-search. What that also means is that these voice assistants will find your content over a website that hasn’t been marked up for speakable schema. However, the idea behind Schema.org is to provide ‘a collection of shared vocabularies webmasters can use to mark up their pages in ways that can be understood by the major search engines: Google, Microsoft, Yandex and Yahoo!’ It’s all about improving search in general and, in this case, you can specifically mark up your schema to include voice search. Only add speakable structure data to content that will be clear and uncomplicated for voice assistant to speak. For example, photo captions, locations of the report, dates, bylines, source attributions, and so forth will confuse the listener. Focus only on key points in your content. It’s best not to highlight an entire post, article, or page. For instance, your listener can then get a general overview and idea of the content rather than every single detail. Schema.org has its own vocabulary to go with the Microdata, RDFa, or JSON-LD format, which help you add information to your web content. The website provides a guide on how to add this microdata to your website. Here at Key Medium, when we build your website we ensure that your entire SEO strategy is solid, including local SEO, Google desktop SEO, mobile SEO, and voice search, as well as speakable schema and general schema markup. It’s all part of our package. Furthermore, we’ll set you up with Google’s Data Studio so that you have a fully-integrated marketing machine, which will let you know which searches, keywords, blogs, videos, and so forth are generating leads all in one place on one dashboard. That way you can hone your marketing strategy more effectively, on budget, on time, without wasting your money. Get in touch with us today if you’d like to discuss how to prepare your website for voice search today. How can SEO grow your business in 2019? In our e-book, we discuss voice search strategies and other ways to grow your business using tried and tested SEO tactics. Download your free copy of Today’s top 6 ways to use SEO to grow your business.